I originally had no plans of picking this up after my showdown between the new and old coffee versions. That was until one of my dad's coworkers asked me why it had changed. He sounded exactly like every comment that was left on my showdown as well. "I don't typically buy ice cream but when I do it would be heath bar crunch..." He literally ranted to me for a good 10 minutes over the change. After I explained it, he called them names that Dubba would censor if I was to list them. So with that reinforcement, I decided to grab the new version just to see how many people are pissed off about it in these comments as well. This is a simple flavor and it looks a lot like the new coffee version. Big chunks of toffee with little to no liquidation of the toffee. The base tastes like their normal vanilla so at least there's no big change like the coffee version. That said, Ben & Jerry's vanilla always tastes so bland to me. I'm still mad over the fact that they discontinued Jimmy Fallon's Late Night Snack. That vanilla bean base is 100x better than this. The toffee is just as horrible as I remembered it in the coffee version. Hard, burnt and crumbly. Nothing about it is pleasant at all. I understand why so many people who enjoyed this flavor are outraged by Ben & Jerry's decision. If you were going to make such a major change, wouldn't you have done your research first? Maybe crowdsource opinions from true fans of the flavors? Heck, I'd at least expect some sort of taste test to have happened seeing as one of the toffee flavors are in Ben & Jerry's Top Ten for sales. If you want a toffee flavor, I suggest looking elsewhere. That or just make your own sundae with it. It'll be way better than this joke Ben & Jerry's has been playing for almost a year. Dubba's Scoop: Unbeknownst to Nick (wait, did I just really use that word? ), my Market Basket cart seemed a bit light on the ice cream front last week and I picked this one up as well. I just had some about an hour ago and now I see why people are frustrated with this overly potent toffee replacement. It reminds me a bit of my frustrating experience with Gifford's Mount Katahdin Crunch. The only thing I would add is I felt like the toffee kind of negated any enjoyment I would have gotten from the vanilla base. Maybe it was a bum pint, but it was gritty and the vanilla flavoring felt hidden behind the toffee invasion. Tried this one a while back and it was awful. The toffee in mine was so hard I spit it out to protect my teeth. Without any add in, the vanilla was very bland and I ended up trashing the pint. B&J's need to send this one to the flavor graveyard. I thought I had gotten a rancid pint and threw it away. Now I know it's just the new formula. I am currently eating this flavor right now. It's my favorite. The toffee is perfect. The ice cream blends beautifully. 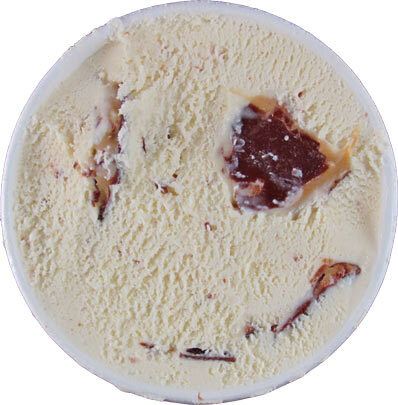 Also, there is liquefied toffee inside the toffee pieces and in the ice cream. Not sure if my stores & scope shops got the better batches. Or if you guys are just biased because, you're used to when they used heath bars. They got rid of the heath bars because, they wanted to make the ice cream Non-GMO. So there was a reason, and I personally support it, and also feel that this ice cream is flavorful in all the right ways and is in no way a disappointment. I have just tried the coffee version again after trying it when it first came out. I can't complain too much about the coffee ice cream although it doesn't taste like coffee to me but the toffee is still disgusting. B&J sort this out or I will become a pralines and cream fan with Haagan Dazs. By the way I am in no means biased because of the Heath bars and I'm all for going GMO free but if you are going to change the flavor of a very succesful ice cream either do it properly or don't do it at all. I too loved the coffee Heath bar crunch. It was my favorite ice cream. 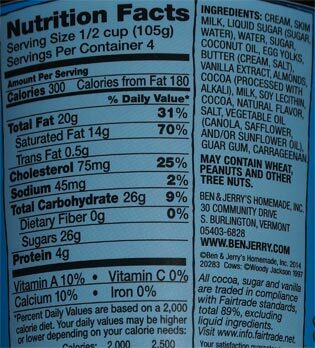 Several months ago I bought 4 pints of the new version assuming they were no longer using Heath Bars but assuming it would taste the same. Was I ever wrong. 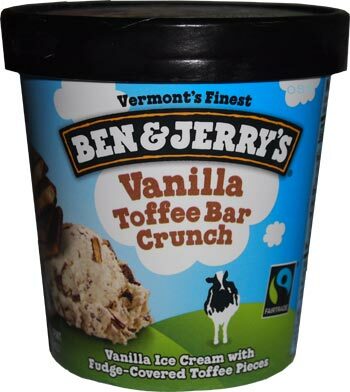 I agree the toffee is crumbly vice crunchy and does not have a good flavor. For the first time ever I contacted the company to complain. They sent me a coupon for a free pint and explained they had rectified the problem. I waited for a couple of months and bought more. Sadly, it tastes the same. Contrary to their claims, they have not rectified the problem. Needless to say, I'm reverting back to Haagen Daz coffee. If I'm going to spend the money I want to know I'll enjoy the ice cream. Unfortunately, I've lost confidence in the quality of Ben & Jerry's. Ben & Jerry's. Coffee toffee bar crunch is awful. . Since getting coffee Heath bar crunch is a rare treat for me, I was sorely disappointed with this new version. I found the coffee flavor not anywhere near as rich as the original and the toffee chunks were too big and lacked flavor. . Won't be buying this again. Very very disappointed. I purchase ice cream about once a month, but when I do to treat myself I get Ben and Jerry's. 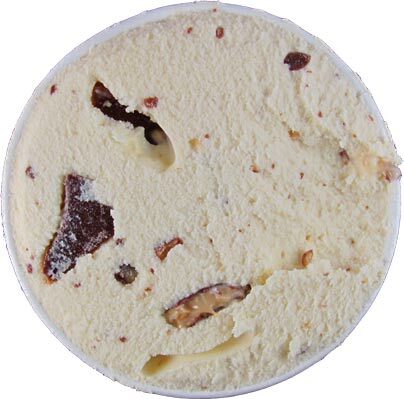 Vanilla Heath Bar was one of my go-to's, as it's a somewhat nostalgic, cozy flavor for me. I tried the new Vanilla Toffee Bar Crunch (sans Heath) and (no joke) I had a mirror nearby.... I glanced at it after the second bite and there was this tortured, disgusted look coming from my face. Yeah. Seriously. I threw it away.... I wasn't going to eat all of those calories if it wasn't even enjoyable. You know what it reminded me of? You know around Christmas or Easter, you can get cheap chocolate bunnies or santas or something, and how they taste v. more quality chocolate (you know the brands.) Well, this new version is the cheap easter chocolate bunny version....in a vanilla base I can't even taste. I'm done with B&J for awhile... bad taste in my mouth about the whole brand. I'm all for being fair trade and non-GMO... but you can have that and it not taste like overwhelming oil chocolate coated cardboard. Epic fail. Okay, I'm done. I agree on the bad reviews!!! Heath bar crunch vanilla was my favorite go-to. The new version made me so angry! The vanilla is horrible...tastes like sugar free ice cream & while the candy pieces are huge, they taste horrible too! Not worth my money any more or the calories. Stick with Heath bars & your original formula. This tastes so awful.